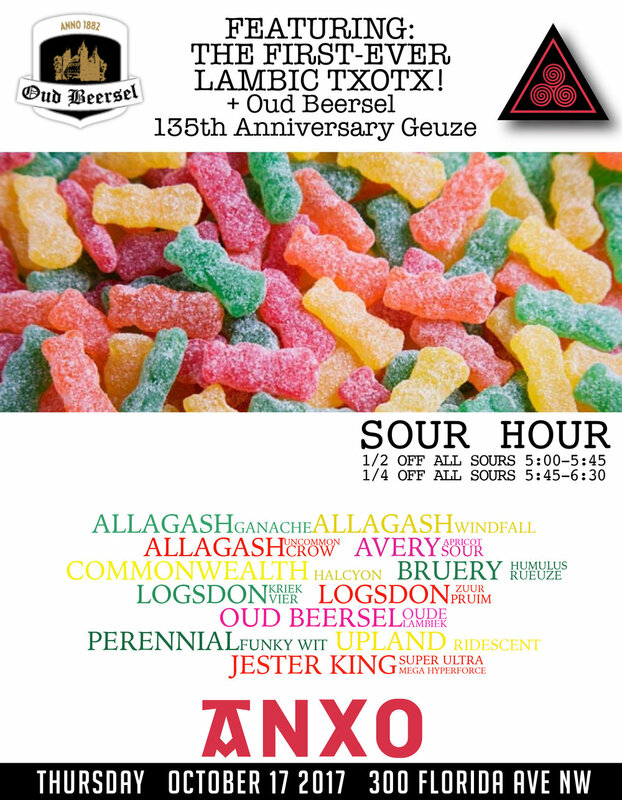 SOUR HOUR + OUD BEERSEL LAMBIC TXOTX! At ANXO we love spontaneously fermented ciders, but we also love spontaneously fermented beer. For the first time ever at ANXO we will be shooting Lambic out of the barrel on our patio in the Basque cider tradition of the Txotx! In addition to the fun on the patio, we will also be tapping 11 sour beers on draft with a ridiculous happy hour special. From 5:00-5:45 all sour beer on draft is 50% off and from 5:45-6:30 all sour beer is 25% off. Get there early to take advantage of this great list!